Why are private tours in Los Angeles and Beverly Hills, like Glitterati Tours, more expensive than other group tour companies? With a Glitterati private tour, you’re guaranteed a spotless, discreet luxury vehicle that will accommodate just you and your immediate party. This allows you the flexibility to pick your time frame, your local location pickup, and most importantly — the ability to customize your tour depending on your interests. You’ll also have a professional guide that specializes in individually tailored customer service who will go above and beyond to make your tour memorable. We are in the same price range, or lower, than the handful of private tour companies that operate in Los Angeles. As far as the less-expensive group tours go, there are literally dozens and dozens of the larger bus tour companies in and around the Hollywood and Los Angeles area. While some of the *bus/van tours may be better than others, quite often, guests are at the mercy of erratic schedules, and false promises. Plus, one never knows the strangers they’re going to share a vehicle with for 3 or more hours. Most of the larger buses/vans are also forbidden entry onto many of the residential streets in the Hollywood Hills as well as Beverly Hills, due to their weight and other city restrictions. (The Hollywood Hills forbids any vehicle that weighs more than 6000 lbs. from getting into the hills for a close-up view of the Hollywood sign). SUV’s are wonderful touring vehicles that sit up higher for better visibility and they are discreet. All of our SUV’s are black on black and XL (extended length). Our 7-seater SUV’s have the leather captain’s chairs in the front, and leather benches in both the 2nd and 3rd row. What if we have a larger number of guests than your vehicles can accommodate? The following would require 2 guides and 2 vehicles: For 8 guests, $298 per hour. 9 to 10 guests, $348 per hour. 11 to 14 guests, $398 per hour. The following would require 3 guides and 3 vehicles: For 15 guests, $447 per hour. 16 to 17 guests, $497 per hour. 18 to 21 guests, $547 per hour. Our group visiting L.A. would prefer to stay together on their Glitterati tour. Is this possible? Yes, and no. As mentioned above, we can caravan multiple SUV’s. We’ve tried in the past to utilize 3rd party charter companies for mini-buses and coaches for larger L.A. group tours, but there’s just too much out of our control, such as the condition of their vehicles, and on-time scheduling. Plus, our guides prefer the more intimate customized tours. It can also be a bit confusing for guests that are sold on our listed tour descriptions, only to find out that chartered larger vans and buses have no access to the popular sightseeing spots such as the Hollywood sign, and the celebrity home neighborhoods. I’m a solo traveler, or there’s just a couple of us visiting Los Angeles. Can you combine me/us with other guests? Since we only provide private tours, we cannot combine different parties. What is the best kid-friendly tour in Los Angeles? It’s Glitterati Tours. Our team specializes in handling requests for every age group, whether it’s 1 to 101 years of age. We have boosters, child seats and infant seats in every vehicle. We get near-daily requests from travelers that may be slightly worried about how their young ones may act on a group tour. With our private tours, you can adjust potty breaks, snack breaks, nap times, scheduled feedings, diaper changes, and extra stops to get out any pent up car energy. This is something you can’t do in a group setting on a bus or in a van. Plus, every car is stocked with snacks, and a built-in no extra charge scavenger hunt for the young ones (ideal for those 8 and under). We provide a list of unique things to spot during our route. For every item checked off, the child will get a mystery velvet pouch filled with small toys, bracelets, or coins at the end of the tour. Where can we be picked up for our private L.A. city tour? If you’re staying at a hotel, AirBnB rental, or visiting a venue or restaurant in the Los Angeles, Santa Monica, Beverly Hills, Hollywood, Downtown L.A., or West Hollywood communities—we come to you! Glitterati Tours has also been granted special permission to conduct tours departing from LAX Los Angeles Airport. This provides the perfect opportunity for visitors to see a bit of Hollywood and Beverly Hills during extended layovers in Los Angeles. This is a very popular option, for we pick up and return guests curbside at their terminals –luggage, or not. Visit our “Rates” page for tour lengths when departing from the locations mentioned above. What if we want a tour, but we’re outside of your normal pick up areas? Does Glitterati Tours of Los Angeles pick up or drop off at Disneyland in Anaheim, or the cruise ports of San Pedro and Long Beach? Glitterati Tours restricts their pick up and drop off areas to Hollywood/West Hollywood, Beverly Hills, Downtown L.A. and LAX. 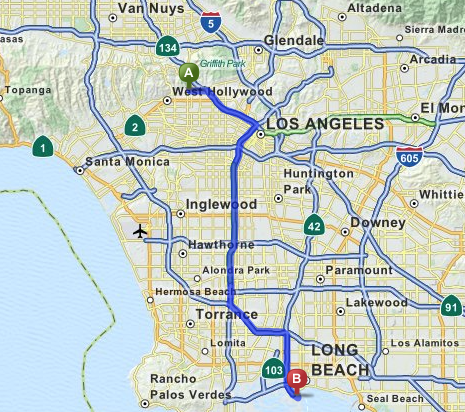 We can also pick up or drop off at locations in Santa Monica and Venice Beach. We never travel outside of these areas due to the unpredictability of freeway traffic. It can essentially take the vehicle and guide off the schedule for the entire day (there’s a reason one of our main freeways has been nicknamed Carmageddon). Rather than pay hourly tour rates, it’s much more economical for a visitor to take alternative transportation into the heart of Hollywood to start their tour. Plus, there’s very few talking points along the freeway system between Los Angeles and the communities down south of the city. 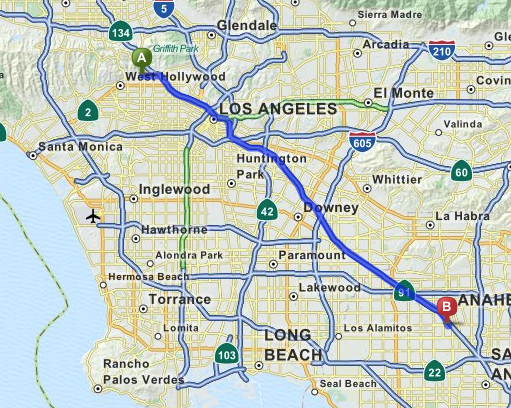 Logistically, L.A. is huge, so we’ve provided a few maps to show the distance between different locales. Depending on the visitor(s) time in the city, some may even book a one-night hotel stay in the Los Angeles area. We’ve heard traffic is a nightmare in Los Angeles. Does Glitterati Tours take that into consideration? Absolutely (and it’s not that bad once off the freeways, according to the majority of our guests). Most of our tours focus on city streets and the hills, where it’s easier to gage flow. We watch the city calendar and avoid tours during The Halloween Festival in West Hollywood, The Los Angeles Marathon, Oscar Sunday, and LA Pride. We also try to avoid tours departing or returning to LAX during rush-hour. There may even be weekend days during the summer, when we advise against the “Coastal Access” tour that includes the beach communities. Pacific Coast Highway is the main artery through Malibu, and this area can become a parking lot with surfers and beach goers in July, August and holidays. However, there is quite a bit out of our control on any day of the week. This can include, but is not limited to: Filming Shoots, Premieres, Award Shows, Motorcades, Paparazzi Clusters, Earthquakes, Mudslides, Fires, Santa Ana Winds, Freeway Chases, Overturned Botox Delivery Trucks, or a Kardashian sighting. 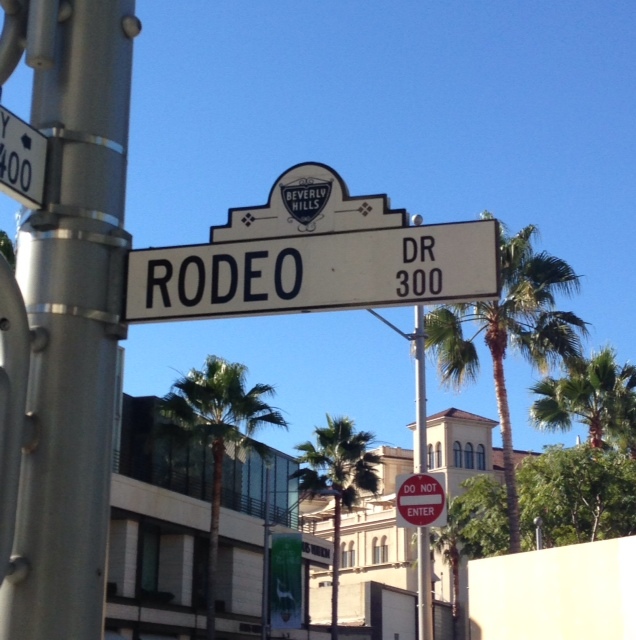 Why does Glitterati Tours only provide tours of the Los Angeles and Santa Monica areas? If we know it, we show it! Some companies may offer up tours to Southern California locations such as Palm Springs, Long Beach, San Diego, or even go up north to Santa Barbara. That’s like an Italian restaurant with enchiladas, schnitzel and hotdogs on the menu. We feel it’s much better for our guests, as well as our guides, to specialize in a manageable radius. To provide the best tour, it’s crucial for us to keep up on the latest happenings/gossip/research/restaurants/shopping areas/venues/real estate/events — and that becomes impossible when casting out a wider net to other locales. 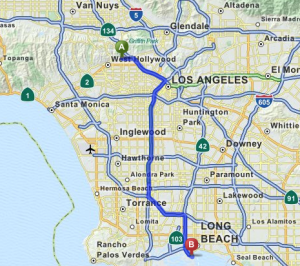 There’s also quite a bit in Los Angeles that can be self-guided that doesn’t require the services of a tour company. We’ve even listed many of these options on our “LA Info” page. I found Glitterati Tours on another website which allowed me to schedule a tour. Is this okay? 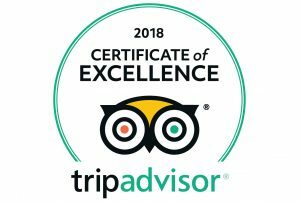 We’ve branched out to a few highly respected OTA’s (online travel agents) via the most popular travel forums and booking services, but primarily we have our own website and we personally book every tour we do. If not directly with the guests, it’s done through travel agents and concierges. The OTA’s we utilize, will provide us with a request, and we’ll respond directly through them, or their VIP travelers with a full confirmation. If there’s an odd unknown 3rd party vendor website or middle-man that lists available tour slots for our company, AVOID it and contact us directly. Sadly, because of our excellent reputation, there’s even unsavory vendors that use our company name as keywords to attract their potential guests. If there’s ever a question, make sure you’re contacting us via our official website. Why don’t you have an online booking platform on your website? Because no two tours are alike. If we had a fifty-seat bus that departed every day from the same place, at the same time, doing the exact same tour, booking through a system would be easy. But because guests get to fully customize their Glitterati excursion, we make all of our reservations over the phone or via email. We want to make sure our visitors know their many options and get every imaginable question answered. I’m a booking agent and want you to use our software to book your tours. Can we contact you about an amazing business opportunity? What time do your L.A. tours begin? It’s your tour. We can start the tour when it fits your schedule. Glitterati Tours of Los Angeles accepts cash, Visa, MasterCard, American Express, and Discover. Guests are required to hold a reservation with a credit card. Typically, our cancelation policy bills 25% of the tour total if the tour is canceled within 48 hours of the scheduled tour departure. We understand that schedules can change due to flight delays, traffic, etc., and we make every attempt to be extremely flexible. Obviously, schedules during peak periods such as spring break, summer months of July and August, and December holidays offer up less wiggle room. Does the rate include taxes and gratuities? The rate includes all taxes and surcharges. Gratuities are optional (and always appreciated) depending on a client’s satisfaction with the service provided by their guide. “Tipping” or providing a gratuity is something that is quite uncommon for us. Is there a standard? A typical gratuity for this type of service usually ranges between 10%-25% of the total bill. How do I know whether this tour company is the real deal and not a scam? Glitterati Tours is fully regulated by a handful of California agencies, including the Public Utilities Commission and The Department of Motor Vehicles. Our Los Angeles tour company truly has one of the best reputations in the city. We are the go-to tour operator for many of the 4 and 5-Star hotels in and around Hollywood, Santa Monica and Beverly Hills. In addition, many of the top domestic and international travel agents rely on our services for their VIP’s. It’s not easy putting one’s trust into a company that could be halfway around the world. Just as one researches airlines, hotels, and restaurants, we suggest doing the same for tour companies when traveling to a new city. Just look us up online. We pride ourselves on our service, integrity, straightforwardness, honesty and passion. It shows with the dozens of articles, reviews and referrals from countless satisfied guests. All of our reviews are organic and written by travelers that have experienced our tours. 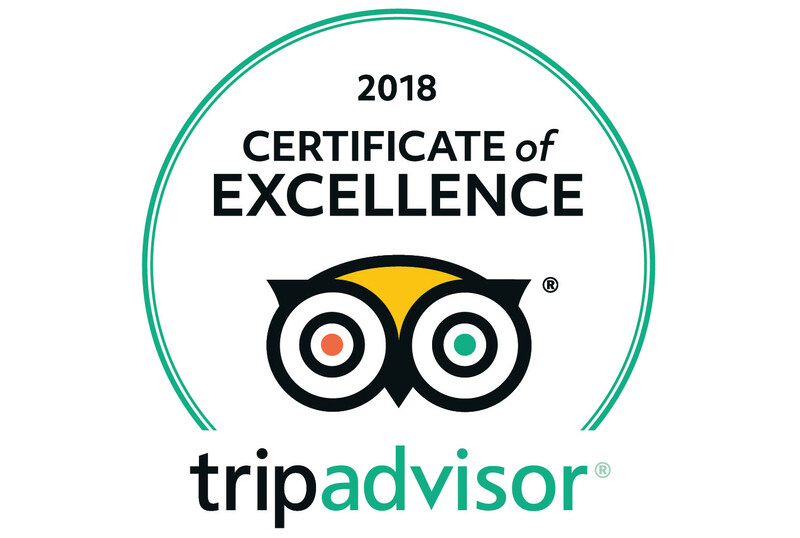 This could be one of the reasons why Glitterati Private Tours of Los Angeles has been awarded with the TripAdvisor “Certificate of Excellence” 8 years running and why we are listed as the #1 Tour and Activity in Beverly Hills! We’ve been on tours in other cities and don’t like the mystery of getting an unpleasant or untidy guide. 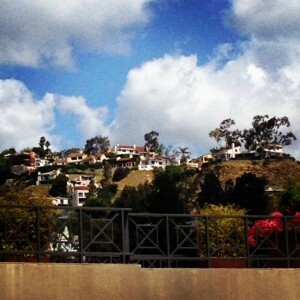 How are the guides with this private tour company in Los Angeles? Find out for yourself, for we post our guide photos and bio’s on the website. The only time we’re “frightening” is during our “Underbelly L.A.” tour of the famous Hollywood crime scenes and scandals. 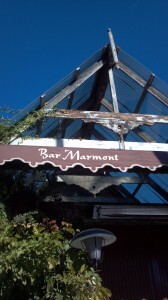 Check out the Glitterati L.A. tour guides HERE! We’ll never be in suits, because we’re not chauffeurs. You’ll find in many of our reviews that guests feel like they were traveling with friends, so we prefer the comfortable business casual attire. Do you have Los Angeles tours for the LGBTQ friendly community? We take pride in having an all-encompassing team with suggestions for every guest, including the gay and lesbian visitors to our spectacular cities of West Hollywood, Los Angeles and Beverly Hills. We are fortunate to live in an area that has something for everyone. We have a link here with more information. 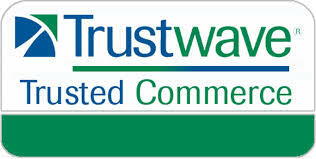 Can I trust that my credit card information will be safe with your company? Absolutely. Every year, we must go through a rigorous protocol through Trustwave to make sure our company is compliant with all rules and regulations regarding the collecting and storing of credit card and personal information. Glitterati Tours is also EMV compliant with the latest in chip technology for secure mobile payments. If I provide my phone number and email address, does it get logged into a sales loop of never-ending pestering for future business, links, review requests, non-affiliated companies, etc.? Never. We hate it as much as everyone else! Does Glitterati Tours like hearing from businesses trying to sell them business loans, lower processing fees, insurances, extended warranties, custom pens, first-page Google status, or payroll services? Can we smoke or drink alcohol in the car during the private Los Angeles tours? Smoking is not allowed in any of our vehicles. However, we can make as many smoking breaks for our guests as needed. Drinking alcohol in a hired car requires a partition between the driver and the guests. Because we are a tour company that requires an abundance of interaction, we do not have partitions. 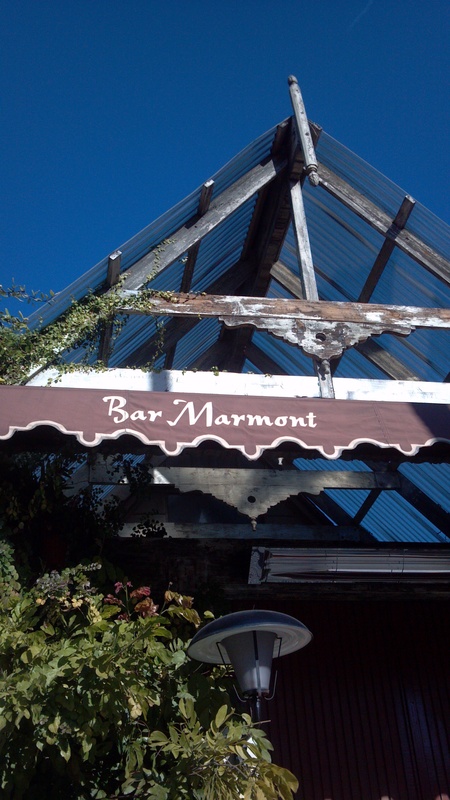 We can however, introduce guests to dozens of hotspots along the way to lounge and imbibe, or just grab a quick one. 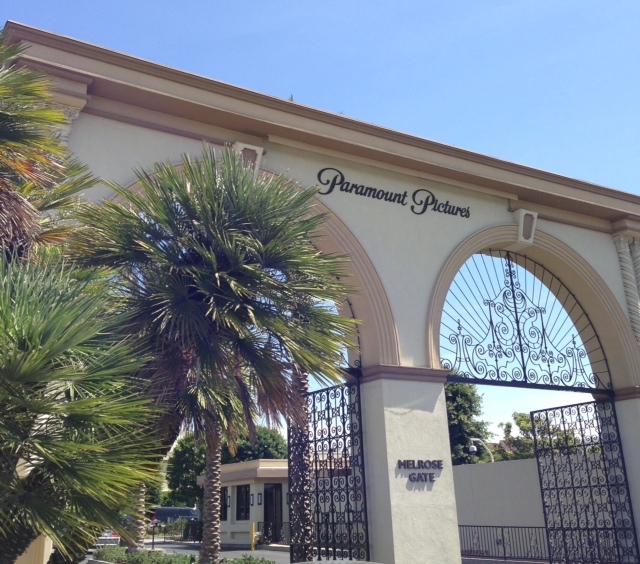 Does the movie stars and celebrity homes tour include accurate information? Absolutely. It’s our job! Just like an accountant has to be up on all the yearly changes with the tax codes, Glitterati Tours is constantly researching the movie stars and celebrity homes of Hollywood, Beverly Hills and Bel Air, to make sure we are as current as possible. Who’s buying—who’s selling—how much is the real estate—history of the legendary homes –scandals—filming locations…it’s what we do. I’ve heard most celebrity homes are surrounded by gates and hedges. What can we see? True, some celebrity homes are not visible from the street, and a handful are located in gated communities that only residents have access to enter. The majority of the properties we showcase on tours can be viewed along our route. For those that are blocked, we keep an iPad on hand to show the aerial views and architecture of particular homes. That being said, BEWARE the tour company that promises to show 50 A-list celebrity homes in 2-hours. It’s just not possible. Some tour companies traveling through Hollywood & Beverly Hills will point out the biggest mansions visible from the road, and tell their unsuspecting guests that major stars live there. You then see camera flashes, and hear “oohs” and “aahs.” This makes for a fascinating, but completely inaccurate tour. Can you guarantee that I will see a celebrity during my tour of Hollywood and Beverly Hills? We wish we could. It can be very hit and miss. We’ve had guests that have been in the city for 2 weeks, and never had a celebrity sighting. Other guests have walked into a particular venue after getting off their plane, and spotted a dozen A-listers within 10 minutes. Quite often guests do see celebrities during our movie stars homes tour around Beverly Hills. Want to see a celebrity in Los Angeles? During your tour we’ll show you the bars, restaurants, cleaners, shopping areas, salons, hotels, nightclubs, and of course the police stations and courthouses, where one has the greatest opportunity for a celebrity sighting. 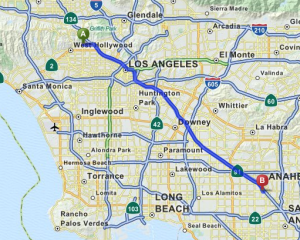 I have specific private Los Angeles tours in mind, but can I add or delete certain venues? We list several different tours on our website. These are listed as fantastic guidelines to view as much as possible on the different routes. More times than not, guests completely give our guides the reins…BUT, again, because this is private, you can fully customize your tour. I’m a travel blogger/writer for a magazine/influencer/SnapChatter/destination agent/Instagram sensation/online fashionista/Twitter superstar/television host/planning guru — can I get a free tour in lieu of promoting Glitterati Tours? Can you provide an interpreter for different languages? Glitterati Tours has a network of interpreters that we work with for our tours of Los Angeles and Beverly Hills. From Russian and Spanish, to Portuguese and Italian –we can usually provide a translator with advance notice. Typically, the price ranges from $70-$100 per hour in addition to the hourly tour rate. Once booked, the translator fee is non-refundable. 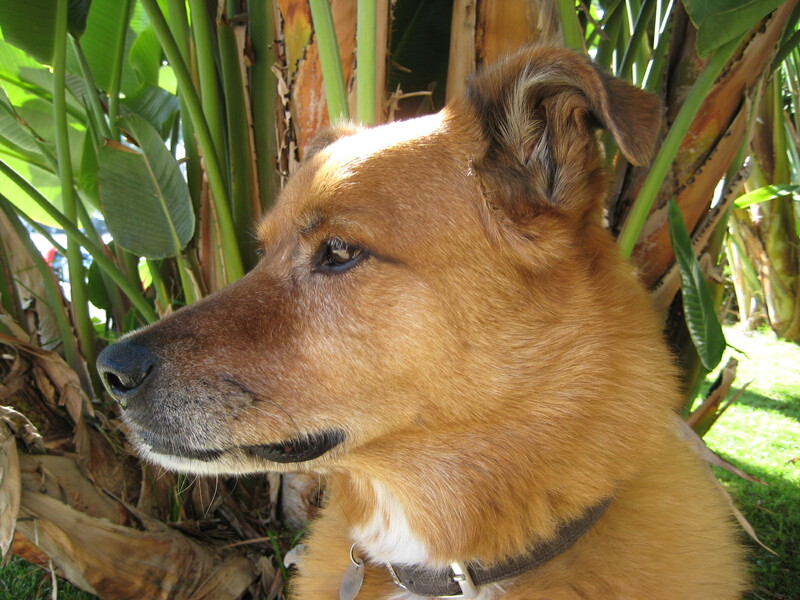 Can I bring my dog or pet on one of your private Los Angeles tours? 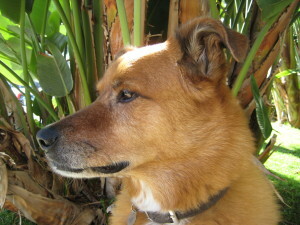 We may ask whether the dog is required because of a disability, and what work the dog is trained to perform. The protections discussed above do not apply to emotional support animals. California law, like federal law, doesn’t require that emotional support animals be allowed in public places. *In California, pretending to be an owner of a service dog is a criminal misdemeanor punishable by a fine of up to $1,000 (and/or up to six months imprisonment). What if I have questions not listed here? 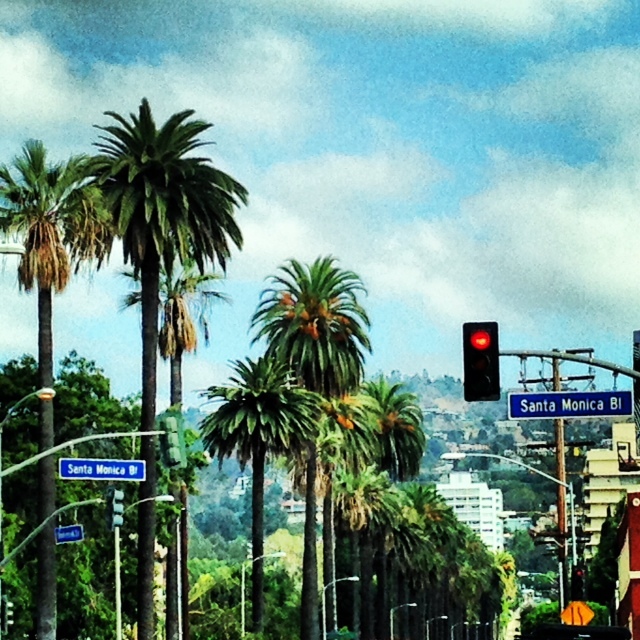 Please feel free to give us a call or shoot us an email with any questions about our private Los Angeles Tours. 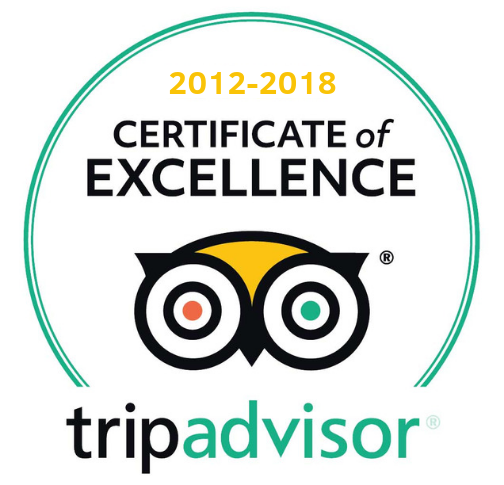 We’re more than happy to assist anyway we can in making sure you’re comfortable with your decision in booking your Glitterati tour of Los Angeles!